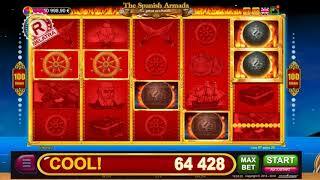 The Spanish Armada occupies a very special place not only in the history of Spain, but also in the world history. People gave it many names - Invincible, Great and Glorious. This is a truly important and significant part of the world history. BELATRA Company has created its own unique game that vividly and colorfully tells us about a challenging battle between the English and the Spanish fleets. 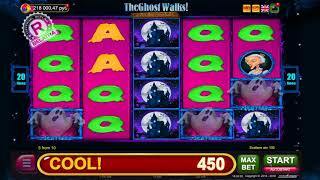 This video slot quickly gained popularity among players from all over the world. And now we would like to bring to your attention the updated version of this game - with an attraction “7 days”! First, we will tell you how to play this 7-day marathon, if you are going to play BELATRA’s online slot machines for real money. 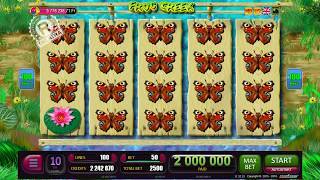 As a first step, on the website of your favorite online casino in the list of online games select the one that is labeled "7 days”. To participate in "7 days" you need to log in to your account on the website. Your everyday task is to get free games. If free games occurred during the day, the goal was achieved, and you move to the next level. The indicator on the left side of the screen shows and reminds you at what level you are at the moment. After you successfully complete the tasks of the 2nd, 5th and 7th days, you will get additional balls for the draw of jokers in free games. You received free games on the first day. The task was completed. 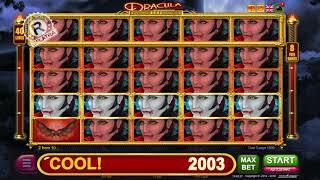 The next day you play the same slot again and get free games again. After you complete the task of this day, you will receive an additional symbol "Magic Ball" or "Cannonball" (depending on the game you selected). This means that when tomorrow (on the 3rd day) you receive free games, 11 symbols will participate in the draw of jokers instead of usual 10 symbols! Also, 11 jokers will be drawn in free games on the 4th and 5th days of the gameplay. If you complete the 5th day’s task, the prize will be one more additional joker for the draw. That means, starting from the 6th day, 12 super-symbols will participate in the jokers’ draw. After completing the 7-day marathon, you will get one more joker. Thus, all the following days (until the sequence stops) 13 symbols will participate in the jokers’ draw during free games! Remember that you need to play every day! If you miss at least one day, you will have to start from the very beginning. If you want to play BELATRA’s online slot machines for free and without registration, demo versions of these games have been created specially for you on our website, where 1 play day equals to 30 minutes of a free game. Thus, you will be able to appreciate all levels of our new attraction just in several hours! Important feature: in the demo version you cannot close the page with the game, otherwise the next time you start the demo slot, the 7-day sequence will start from the first day. Free games and risk games in this slot are the same as in the classic version of the game. A detailed description can be found here.